Upon arrival you will be welcomed by one of our hosts or staff members who will show you to your accommodation and give you an orientation to your Cabana or Eco Lodge facilities, and to the property and grounds, which apart from the primate compound, is totally and exclusively yours to wander and enjoy. Once settled in, guests are invited to relax and refresh with champagne and canapés, or high tea, either in the seclusion of their accommodation, beside the pool, deckside at the lake, or any of the many other garden areas and gazebos – or – just picnic style on the lawns – it’s up to you. Please remember, our staff are friendly, but not familiar, and at all times deferential to your wishes and needs. We do not provide evening meals but there are many fine cafes and restaurants within only a few minutes drive. For guests not wanting to venture out, menus are provided, and we can arrange home delivery for you. There is also a barbeque, you may wish to use. After dinner our qualified guide is available to take you on an enchanting hour or two of night spotting. 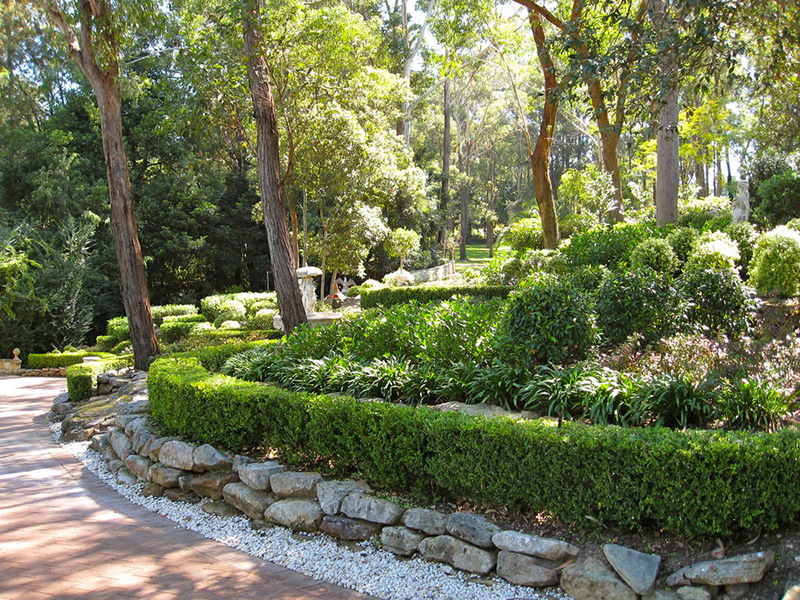 We are located in the beautiful Hornsby Shire, known as The Bushland Shire, and although most surrounding properties are garden estates and equine facilities, the abundance of native species naturally inhabiting our gardens and grounds is simply outstanding. Our guide will identify the species spotted and provide you with information about habitat, distribution, diet, lifespan, reproduction, history and other interesting facts. In the morning a platter of fresh fruits, cereals, yogurts, and freshly squeezed juices will be delivered to your door. Later, at a time that suits you, a full cooked breakfast will also be served. 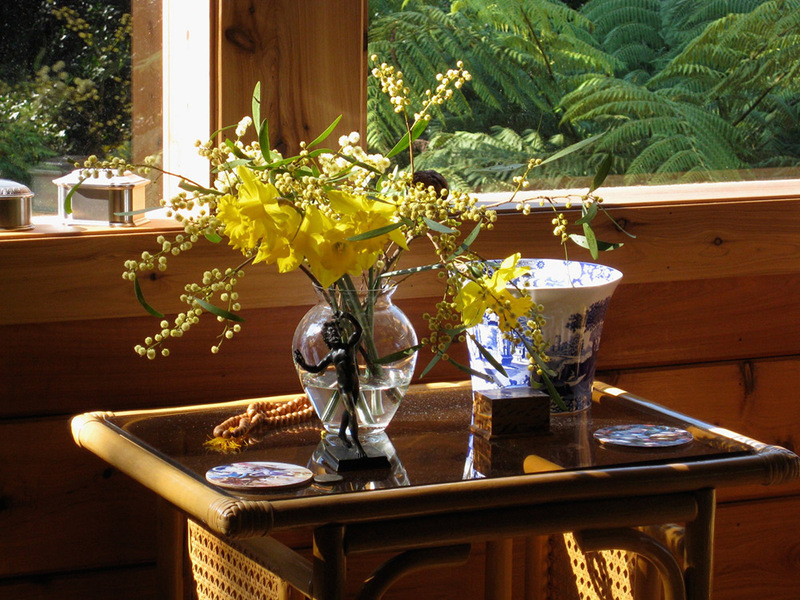 You may choose to enjoy this, again, in the seclusion of your accommodation or other property location. 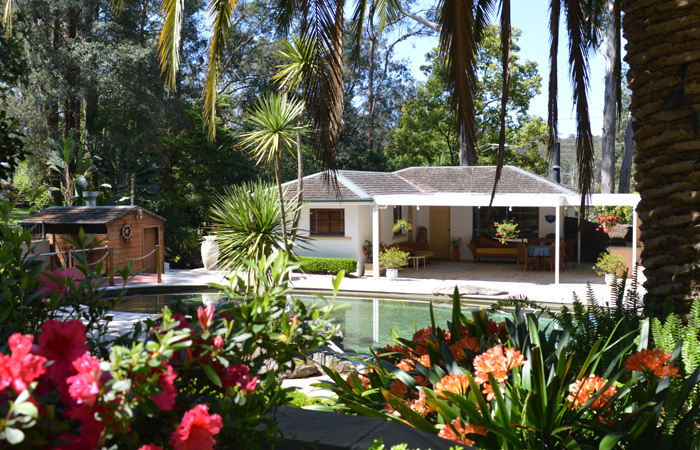 With your own private pool and spa, the Cabana comprises of an open plan bedroom and lounge room with open fire place, separate bathroom, gallery kitchenette, complimentary wines and mini bar, coffee machine and tea making facilities, luxury linens and toiletries, dvd and music selection, wifi. Suitable for families, accomodates 5. Presently undergoing refurbishment, new images coming soon.